Expressions of Interest are now open for new and existing coaching professionals for both Senior and Junior Coaching positions for Season 2019. The Melbourne Rugby Club believes coaches are one of the games’ most valuable assets. There are a number of Senior Coaching positions available across the Grades within the Senior competition as well as Junior Pathway (U6 – U10) and Competition Grades (U11 – U18). The Melbourne Rugby Club, home of the mighty Unicorns, is at the heart of Victorian Senior and Junior Club Rugby. The Club boasts some of the best facilities and off-field support of all Victorian Clubs. Melbourne Rugby Club is the perfect choice if you want to Coach serious rugby and have a great time doing it. In Season 2018, the Club fielded nineteen teams including eleven Junior teams, Colts, six Senior teams and our Masters team. 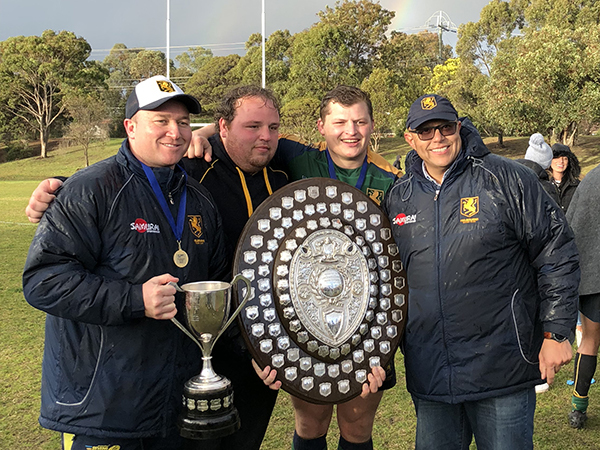 The Unicorns are the current Dewar Shield Premiers, Dewar Shield Reserves Premiers, Premier 3 Champions, Premiership Reserves Runners Up and Colts Premiers. Our Junior teams are improving with strong numbers across all grades and most of our Competition Grade teams made finals this Season. Our U11 team were 2018 Runners Up and our U16s were Minor Premiers and eventual Runners Up in the 2018 Grand Final. Our Women’s team has been relaunched with the Club already committed to fielding a stand-alone team in Season 2019 and beyond. A core group of talented female players have already committed to Season 2019 at the Unicorns. Add to this our new girls programme which includes U11, U15 and U17 teams and you have the ingredients for a sustainable pathway for women’s rugby at Melbourne. Our affiliate inclusive rugby team, the Melbourne Chargers, are also building on the back of their experience in the competitive Championship grade and their tour to the 2018 Bingham Cup in Amsterdam.